The Birkin Bag was launched and named after the famous actress and singer, Jane Birkin in 1984. During a flight Jane Birkin was sitting next to Hermès-CEO Jean Louis Dumas and told him about her problems finding the perfect shaped and seized bag. She described him her dream model that she received shortly after that incident. The Birkin Bag was born. It is a fashion icon- to me incredibly amazing- a mixture of a classic piece worth investing in and a total trend item. Many famous ladies carry this model. Victoria Beckham is said to own over a hundred. But even if you have the money to buy it, does not mean you can. 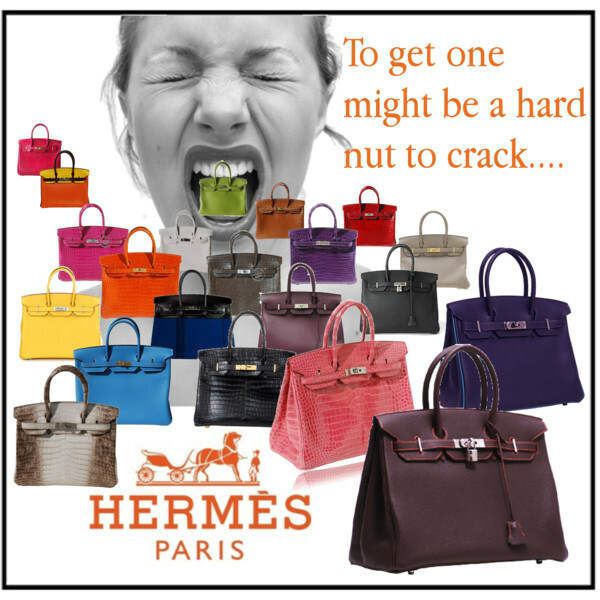 There are long waitlists in the Hermès stores. And in general it is even hard to get on that list. There are even waitlists for the waitlists and if you manage to get on, you have to be patient for approximately 2 years. But if you are lucky, the minute the orange box is opened, your heart will start beating faster. That bag is a real treasure and even comes with a rain cover for it. Besides it is a great investment because you can resell it at the same price you bought it, even after having used it. There is a great book about all the different and funny stories to get one: „Bringing Home the Birkin“ by Michael Tonello. If you want to have an easy access to a real one: www.luxury-shops.com and www.créateursdeluxe.com sell new and used models in excellent condition. Watch out, the minute they come in, they go.